This summer we decided to try our hand at growing our own herbs. Our most fruitful is basil. It also happens to be one of my favorite herbs out there. The health benefits of basil may be surprising to you. It can help sharpen memory, combat the flu and colds, eliminate infections, has antibacterial properties, helps remove phlegm from your bronchial tubes, relieve mucus in asthma, and treat the bites of insects and leeches. My favorite benefit is that it has a calming effect and is known as an anti-stress agent…something I need regularly! This summer salad is a great side dish or appetizer to any meal. Mix the lemon, vinegar, EVOO, salt & pepper in a bowl. 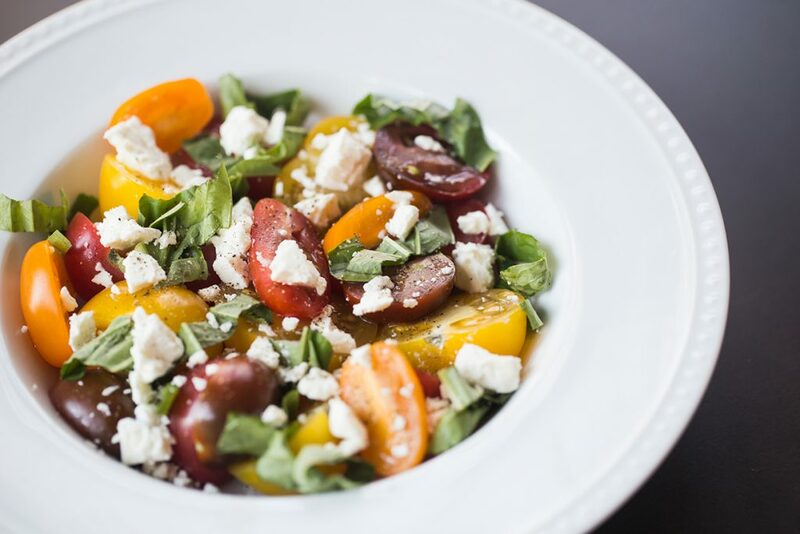 In a separate bowl, add the basil, tomatoes, and goat cheese. Pour the dressing on top and toss to coat.